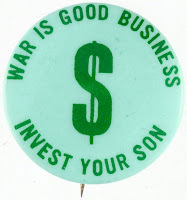 When I was in college in the 60s, I operated a slightly profitable business distributing anti-war pins. One said, "War is Good Business. Invest Your Son." Apparently 58,212 Americans were killed and 153,452 were wounded in the War in Vietnam -- plus about 2 million Vietnamese. That's very bad news. Nevertheless, the war was good for arms makers, and for college kids who sold anti-war pins and bumper stickers. Apple co-founder Steve Jobs died in 2011. According to The Associated Press, "As macabre as it might seem, Jobs' death Wednesday will only add to the Apple mystique -- and profit. The iPhone, iPad, iPod and Mac will, no doubt, get a sales boost as consumers pay the ultimate tribute to one of America's creative geniuses. That could be especially true for the latest iPhone, scheduled to go on sale Oct. 14. The lines were going to be long anyway, but now there are bound to be even more people clambering for the iPhone 4S - the last device to be unveiled while Jobs was alive. It's a commercial phenomenon that has happened many times before, most recently when Michael Jackson's album and song sales rocketed after the pop singer died in 2009." 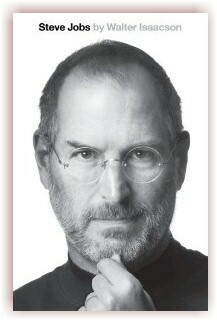 Simon & Schuster moved up the publication date of its biography, Steve Jobs by Walter Isaacson from November 21 to October 24, 2011. The book quickly reached #1 on Amazon's overall bestseller list and is still high up on lists in three categories. It has nearly 5,000 customer reviews, which is very unusual. 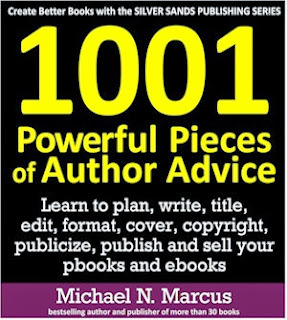 In my 1001 Powerful Pieces of Author Advice, I wrote, "Remember that the mere publication of your book is not usually sufficiently newsworthy to impress editors and writers. Only the most desperate small-town weekly would publish an article with the headline: 'Local Woman Writes Book.' Your news release needs a news hook. The hook is the main point of your release. It can be a theme, state­ment, trend or event on which you “hang” your news release. If an important person just got married, promoted, fired, elected or killed, a book about that person should be newsworthy . . . ."
I certainly don't recommend that you murder someone you wrote about. But, if that person should die without your intervention, be prepared to take advantage of the promotional possibilities, like Simon & Schuster. Walter Isaacson was interviewed a great many times, and sold a great many books. If you've written or are writing a book that ties in with bad news (or even good news), PROMOTE, PROMOTE, PROMOTE.